This was a fitting, feel-good end to a summer of unadulterated fun with Dog Days’. Continue Reading "DOG DAYS’ – 13 (END)"
There’s nothing in this laid-back episode that’s particularly moving my heart. 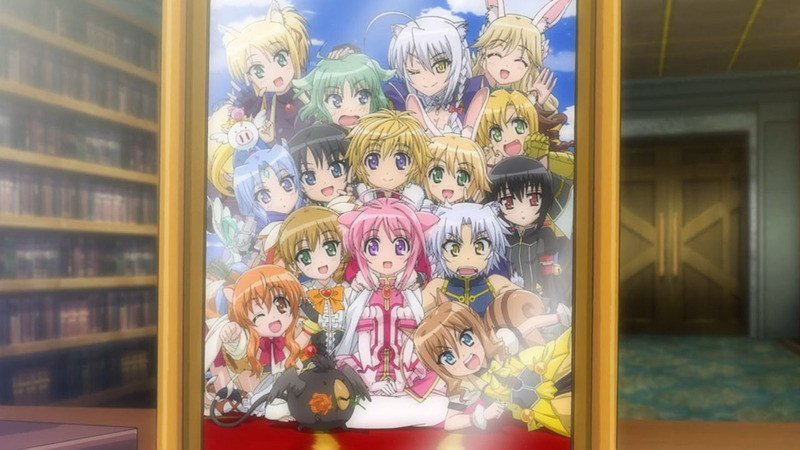 Continue Reading "DOG DAYS’ – 11"
Oh-ho, oh wow, just wow. That is one BIG sword. Continue Reading "DOG DAYS’ – 10"
A character-focused episode! This is quite the change of pace for Dog Days’. Continue Reading "DOG DAYS’ – 09"
Ninja and Samurais! Lolis and Bishies! Pervy demon king! How can you not smile when the show itself is having so much fun clowning around? Continue Reading "DOG DAYS’ – 05, 06, 07"
War’s over. Time for a training camp! Continue Reading "DOG DAYS’ – 03, 04"
Continue Reading "DOG DAYS’ – 02"
Here we are again, in this land of nekomimis and inumimis…. Continue Reading "DOG DAYS’ – 01"
I should have known better with the director and screenwriter of Mahou Shoujo Lyrical Nanoha behind this original anime by Seven Arcs, but that doesn’t change how I feel pretty cheated with the way they purposely misled me with premise for DOG DAYS. Continue Reading "DOG DAYS – 01"